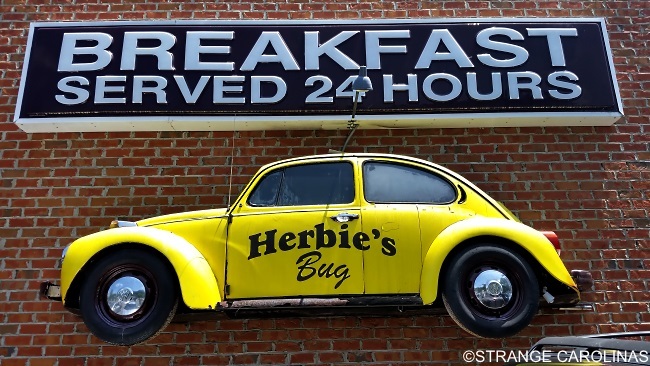 Herbie's Place is a very popular Greensboro diner. 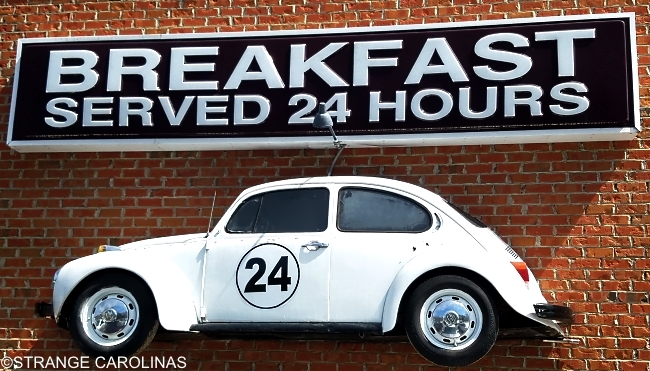 While its popularity probably owes a great deal to their food (especially breakfast! 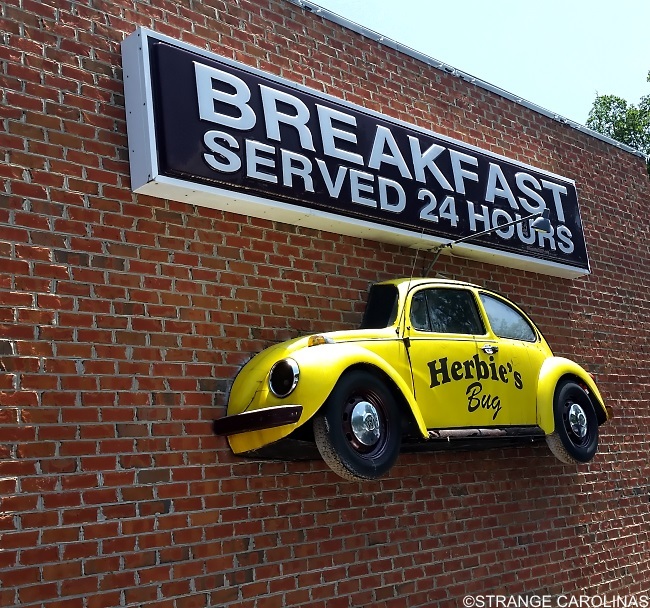 ), we can't help but wonder if the 1/3 of a Volkswagen, installed on the building six feet off the ground, might have something to do with it as well. The Volkswagen gets a new paint job every so often. Currently, it looks more like Herbie the Love Bug from the Disney movies, except paler and with a different number on the side. We have also seen the Volkswagen painted blue at one time and yellow at another.